Hello, hello my beautiful friends! As you guys know from my latest Instagram post, it has been FREEZING here in San Jose! And by freezing, I mean highs in the 50’s and low’s in the 30’s. And while that may not technically be “freezing” and some of you are actually braving the ice and snow where you are, that is VERY cold for Cali! So with Spring roughly twenty-eight days away (but who’s counting 😉 ), I’ve already started looking towards the future with warmer days! And with that, I’m talking about my Spring wardrobe of course! As I’ve mentioned time and time again, Spring is my favorite season to style for! Soooo.. you know I had to do my research and find the hottest Spring trends for 2018! And after spending basically an entire day watching runway after runway, five Spring trends stuck out to me. So I thought I’d share them with you guys! But before we get into that, I wanted to let you guys know where you can find all of these fabulous trends and pieces I’ve listed below! So as you guys know, I’m an avid Santana Row shopper! And if you aren’t familiar with The Row, you can look ’em up here! They have a world-class mix of stores on their luxurious outdoor strip, from high-end to boutique-style options. Not only that, they have tons of amazing dining options, a well-renowned spa, a gorgeous hotel and much, much more! So naturally, after finding my top five favorite Spring trends for 2018, I threw on my sweater (again, it’s cold out here! ), jumped in my car and headed to The Row for some Spring shopping! Some of you may actually remember when I went because I posted a ton of stories on my Instagram that day, with try on sessions, links to the items and all of the fun things I did that day. And if that’s the case, you also probably remember some of the stores I got my new Spring items from. 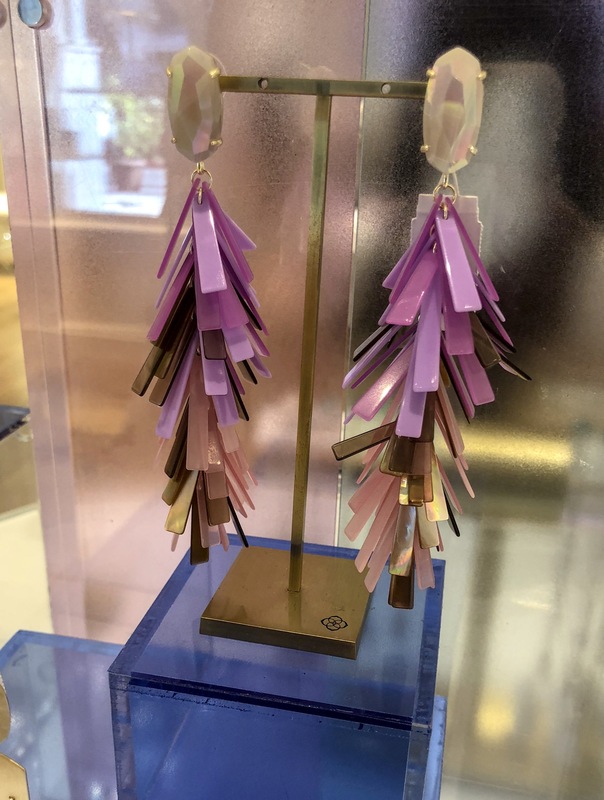 But for those of you who weren’t watching, you can find all of the Spring trends below, at Anthropologie, Urban Outfitters, H&M, Ted Baker, Kate Spade, Madewell, Kendra Scott and Free People. All of which you guys can shop at Santana Row! So now that you guys know WHERE you can get all the latest Spring trends, let me tell you WHAT the 2018 Spring trends are! There you have it! Five of my favorite Spring trends for 2018 and where you can find them! 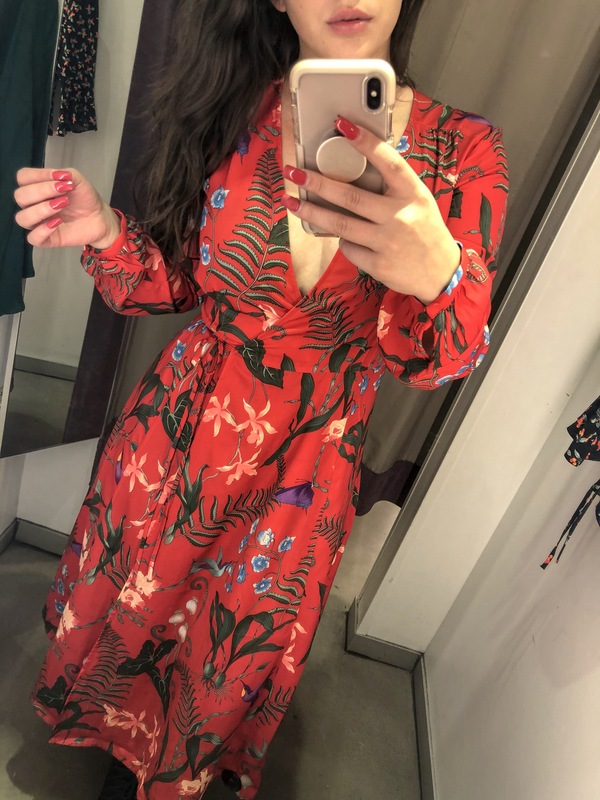 And if you liked all the fun Spring items in this post, you’ll definitely want to check out this one too! It has a ton of fun wrap dresses and blush-colored bags. 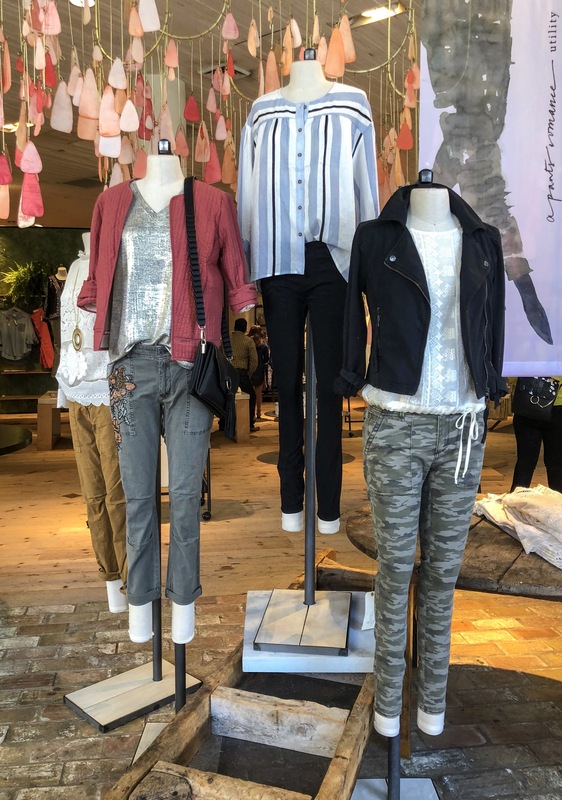 All of which are perfect for Spring! But definitely don’t forget to stop by Santana Row if you’re in the Bay Area! Not only do they have SO many amazing Spring pieces right now, there’s always something fun going on at The Row! 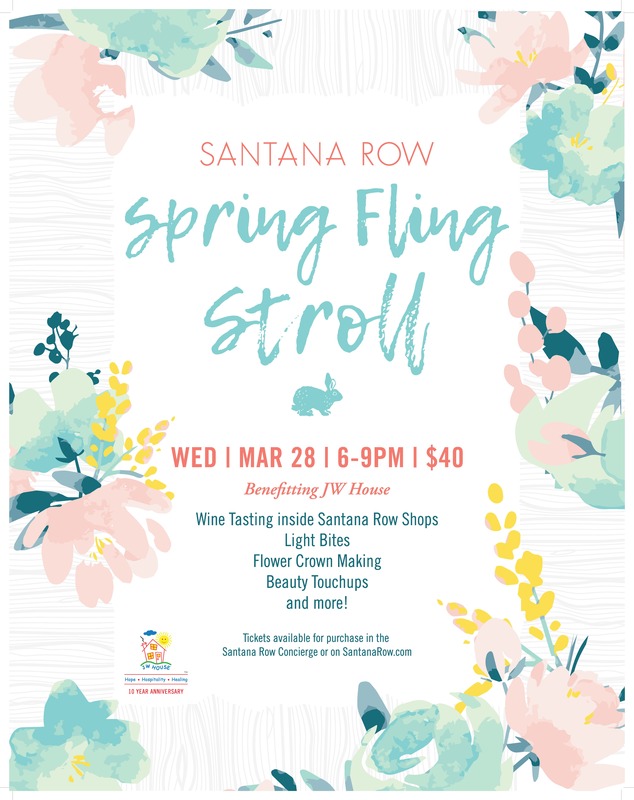 They’re actually having a fun Spring Fling Stroll on Wednesday, March 28th, from 6-9pm! 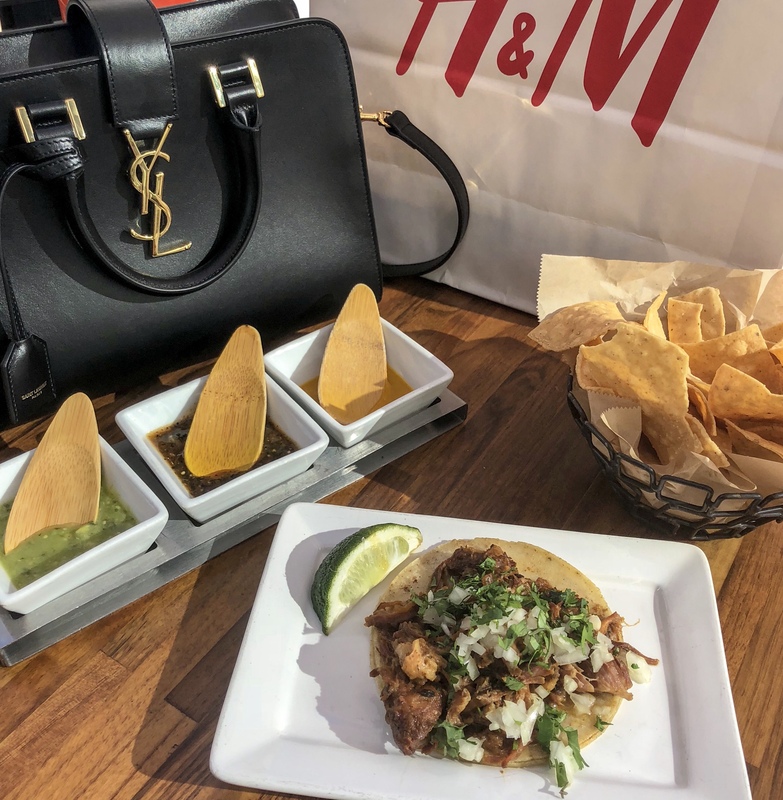 You can wine taste in the shops, eat light bites, make flower crowns, get beauty touch-up’s and so much more! You know I’ll be there, so if you want to stop by, grab your tickets and get ready for a night of fun! I’ve included the invite below, as well as some shots from my shopping day on The Row! Hope to see you all there!! 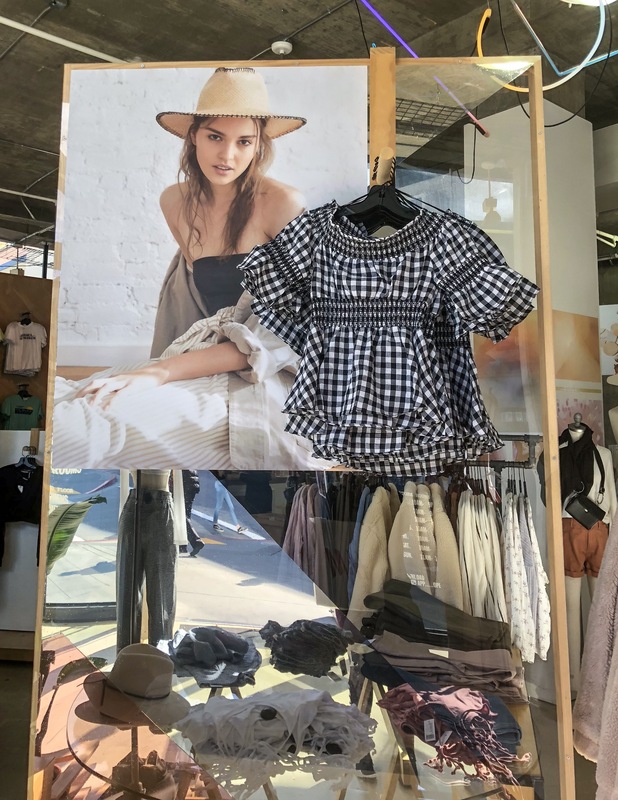 Spotted a cute striped dress at Madewell! 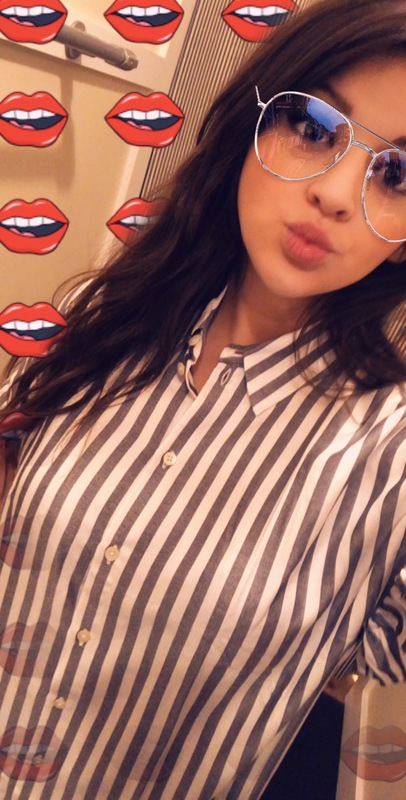 And what’s a shopping day without a good snap selfie?! 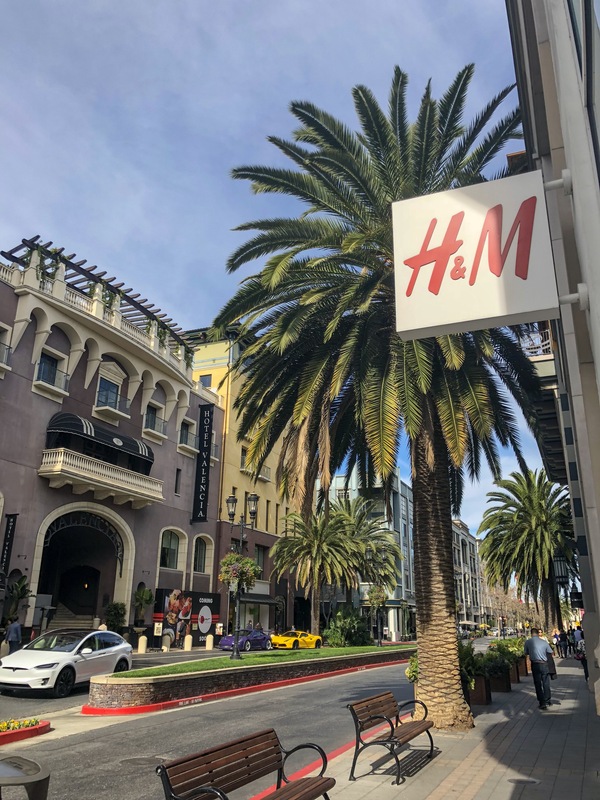 Thank you to Santana Row for a wonderful day & for sponsoring this post! Previous Post Best of LA & Surrounding Area’s – 2018 Guide! Next Post Why You Should Remove Your Makeup Before Bed..
OMG can we please talk how wonderful this yellow dress from UO is ? Right?!! 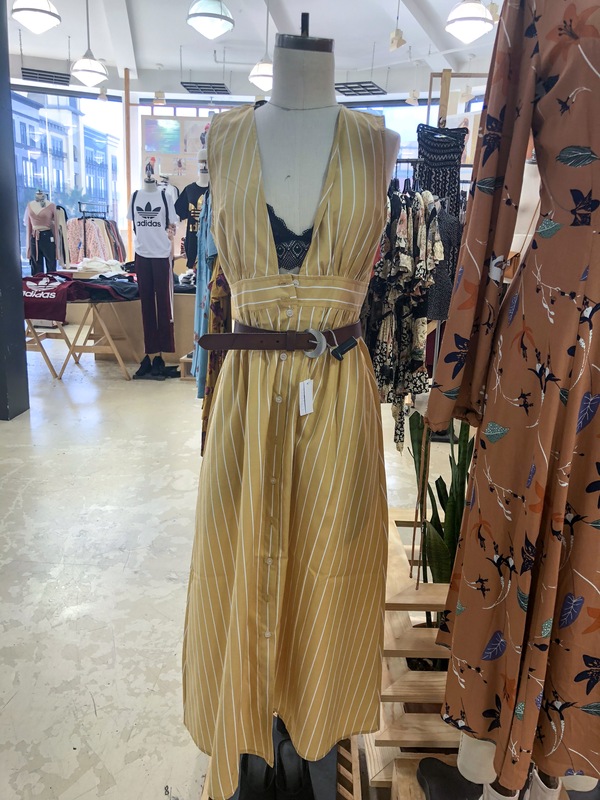 The perfect yellow dress!! Thanks for reading Marie!! I love that H&M dress. It is totally bold but also very feminine. right?! It’s a great spring piece! right?!! they are so cute and come in that really pretty blue too! Love the ruffles! & Pastels always get me in a springy mood! of course love! thanks for reading! I am loving all of those ruffled tops! SO cute! I am so excited about spring fashion! Stripes were always my favourite but bold colours are just fab! I completely agree! super excited about both! So cute! I can’t wait for spring to come. So many great trends that I already own lol that’s amazing! I love when that happens!! and of course! isn’t it cute?! and you’re welcome! OMG I am loving all of these esp the yellow dress with the belt. Such great finds girlie <3 And you can never of wrong with UO. you got that right! UO is the best! I will have to check with my daughter and see if she goes here. She loves up in the Bay area. Seriously love all of these picks, I’m loving the pastel trend and of course ruffles!! Also, can’t wait to pick up some more gingham too! ooo! gingham is fun too! I love how every spring the trends are the same and every year I still go out and get more stuff haha. HAHA right!!? I’m definitely guilty of this!